Yeehah! We’ve carefully curated a list of over 100 Wild West Party Ideas from incredibly creative bloggers around the world. Need Wild West Party Game ideas? Try DIY panning for gold activities, home made hobby horses, wanted photo props and even build your own saloon from cardboard boxes. Looking for ideas? Our list is full of inspiration, but like Sweet Magazine, it’s not just pretty pictures! Check out the links at the beginning of each section for helpful how-to step-by-step instructions we’ve found to make your party planning easier. 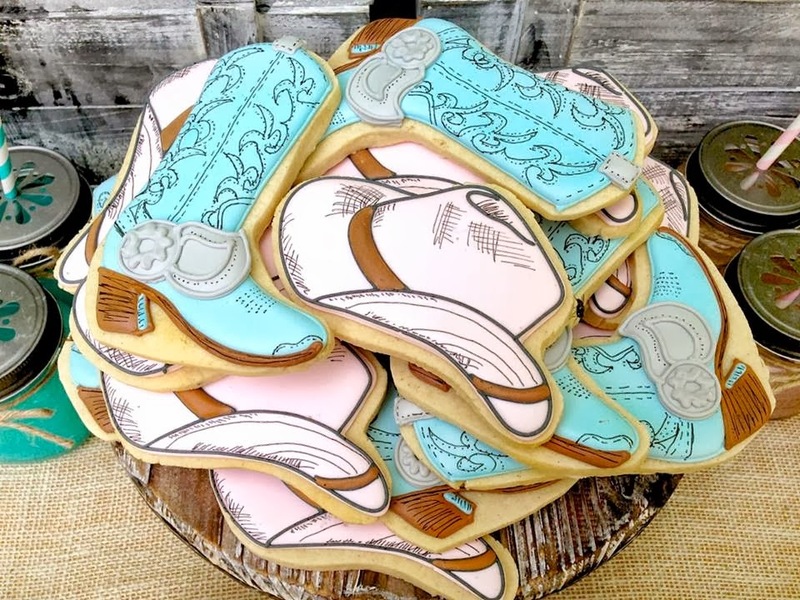 Scroll to the end for incredible wild west cake inspiration and check out how party stylists, and mums, have put together entire styled wild west parties for their favourite little Cowboys, Cowgirls, and Indians! Cowgirls, Cowboys, and Indians need entertaining so we’ve rustled up some fun activities that will keep little hands and minds active at your party! You can even sit them down at a (cardboard) saloon! Get creative with some old cardboard boxes and create a wanted sign for your wild west photo booth! This is such a great and inexpensive DIY, but you can take it to the next level by purchasing a printable sign and having it printed at your local office supplies store. We think adding the birthday girl or boy’s name and birthday to the sign would make for a lovely personal touch too! Add some fun props like a hobby horse, horse ears on a headband, and cowboy hats then grab out your phone and start snapping! What kind of self respecting cowboy or cowgirl would be seen without their trusty steed? Grab some old socks, felt, and wool and get sewing to make these super cute DIY horses perfect for the kids to run amok in the backyard with at your Wild Wild West Birthday Party! Not a fan of needle and thread? No worries, grab some pool noodles and patterned duct tape, or string and get hot glueing for a no-sew pool noodle pony! Make your own Wild West Cactus Piñata with this collection of easy to follow DIYs. This fun activity does double duty at your party as a decoration and activity. Fill with sweets of your choice and let the kids go crazy, hang from the ceiling with honeycomb balls and streamers, set as table centres, or just place around the room for some big blocks of colour! Are your little guests cowboys and cowgirls, or Indians? Use the DIYs and inspiration below to create your own DIY Soft Bow & Arrow sets for the Indians. For older kids we love the suction cap paint arrows! Spray paint, pie tins, rocks, sand, and water might be a strange combination (or the perfect recipe for a glam mud pie), but it makes for a cheap kid’s party game that’s perfect for your Wild West Party! While we love this as a fun themed hands on activity that will keep little hands occupied, Handmade By Jill added another layer of creativity with guests using their hard earned gold to buy their pony! Like our pintatas above, building the OK Corral in your back yard is a fun activity and great decoration. You can go as crazy as you like with your wild west cardboard village, but we kind of think the simple, home made paint jobs are the most fun. Visit your local storage facility where you can often buy large second hand boxes, grab your paint and get building! Your village also doubles as a photo booth, so remember to fill it with plenty of windows too! Some simple ideas for wild west party games from cactus ring toss, to colouring in activities. We love the way Mini Mocha have used paper bags and a sheriff’s badge to dress up the activity and make it a part of the decoration. Download our free Wanted! Colouring In Activity for your little outlaws. Invitations are the best way to let your guests know what to expect at your party. Give them a taste of what to expect with a themed invitation. We love the denim pocket invites and we’ve found some cute printable invites on Etsy, but if you want to keep things more affordable try using some free western themed fonts and print onto recycled brown paper. See our collection of Wild West Party Invitations, Printables and Free Printables below. With a small number of guests you could scout your local Vinnies or Salvos for second hand jeans to make fun denim pocket invitations. For larger guest lists, buy denim from your local fabric store. DIY invites can be expensive, so set yourself a budget so you don’t end up with a wild west blow out! These download-and-print party invitations, props, and decorations are just a few of the hundreds of options available on Etsy and different specialist sites. 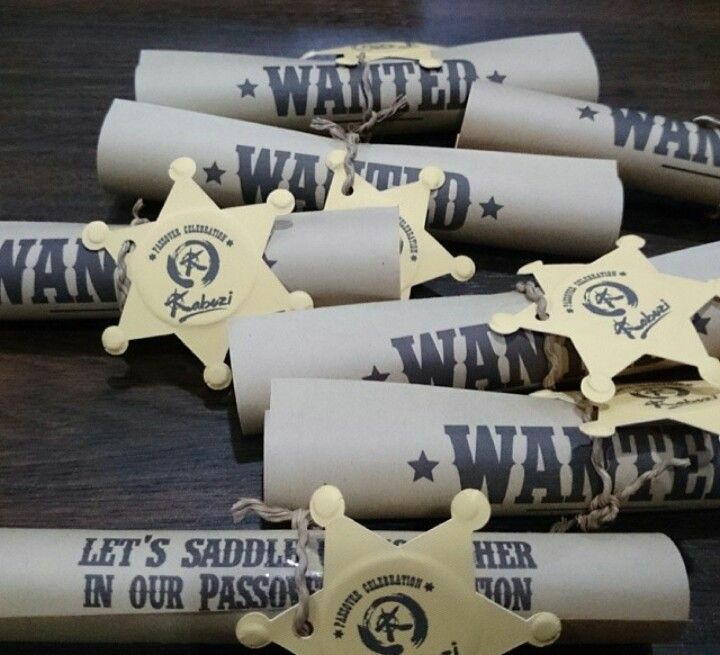 Pay a little more and designers will customise their invitation suites with your wild west party information, pay less to print out generic invites that can be printed and hand written. We’ve picked some favourites below. A quick Google search will turn up heaps of free wild west printables like wanted posters, colouring in activities, and this cute wild west scene meant for sticking in play dough that we think would make a great cake topper too! Hey Tex, you gotta decorate! There are so many fun and creative ways to decorate a wild west party, it was hard to pick! We love bright cactus decorations strung, or “planted” around a room for a big and inexpensive impact. Mix with little guests in their Cowboy, Cowgirl and Indian best, and your party area will instantly transform into the Wild West. We’ve scouted the wild web for our favourite wild west DIYs and this list is the a roundup of the perfect backdrop for a wild west party table! Check out the Rope Sign DIYs below. From cute little cacti, to fondant rope and denim, our collection of Wild West Party Cakes makes for great inspiration for you, or your favourite local cake decorator! A boot scooting cowgirl party with plenty of great ideas for a wild west party – we love the ring toss! This party was styled for a brother and sister who wanted pony rides at their birthday party, but we think that there are plenty of ideas in this fun event that can be used for a Wild West Party too! We love this party from Lia Griffith, you can even download and print projects to recreate the party at home! 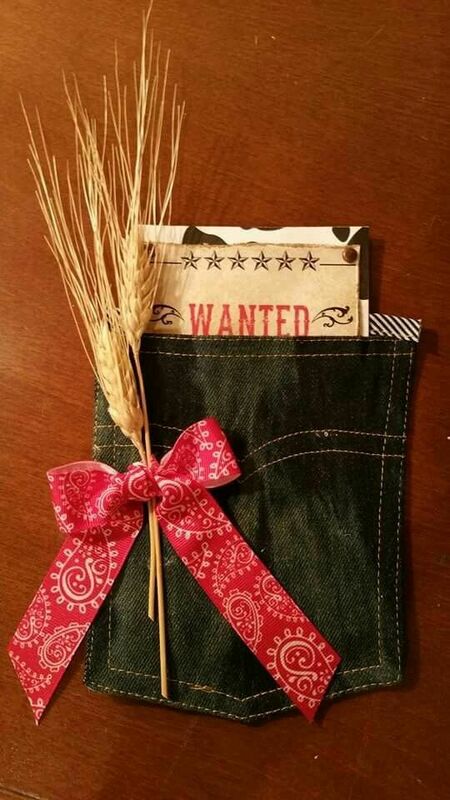 The use of denim for this wild west cowboy party is super creative, look out for the simple and effective party bags! Love to party? You’ll love our Alice in Wonderland and Star Wars party ideas too!